Small food grade quality fermenting bin and lid. 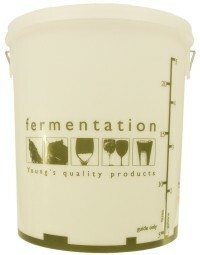 Ideal for fermenting smaller quantities. Lid can be drilled and a grommet fitted for an airlock, for an airtight fermentation if required.